A roasting tray full of every veg that’s left in the fridge; I used a whole squash, 1 sweet potato, a fennel (if you can one, the addition of the fennel I recon “lifts” the whole dish, 1 green pepper and some cherry tomatoes. I also threw a couple of kale leaves in for the last few minutes. Roast the veggies. Whilst they are cooking, throw all the other ingredients into a saucepan and heat, stirring to stop it sticking to the pan, it’s done when most of the liquid has cooked away. 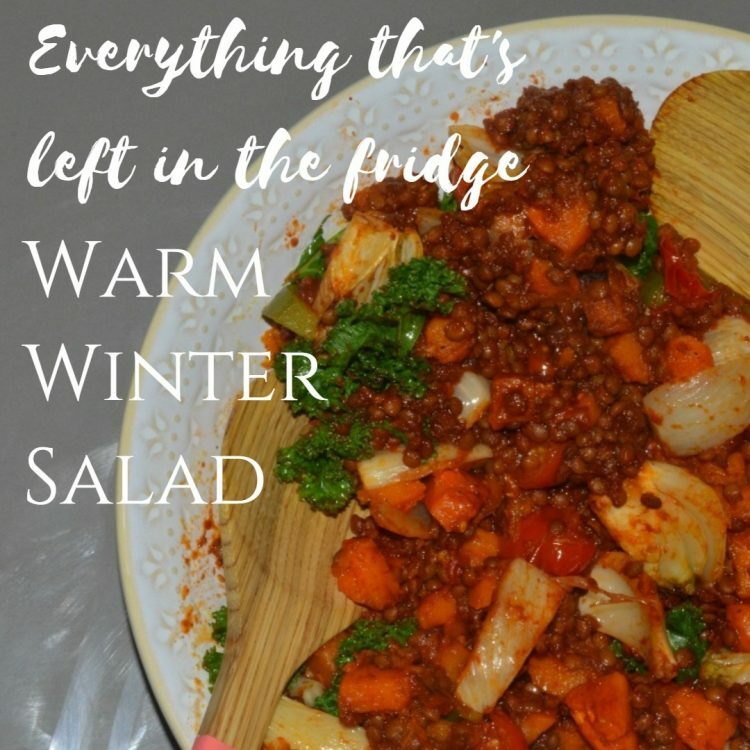 When the veggies are done, throw them in a bowl with the lentil thing and enjoy warm.